With four days in the month left to go, November 2018 is now officially the rainiest November on record in D.C., breaking a 141-year-old record, according to the National Weather Service. And the unusually wet month means D.C. is now sitting at the No. 3 spot in terms of the rainiest year on record. 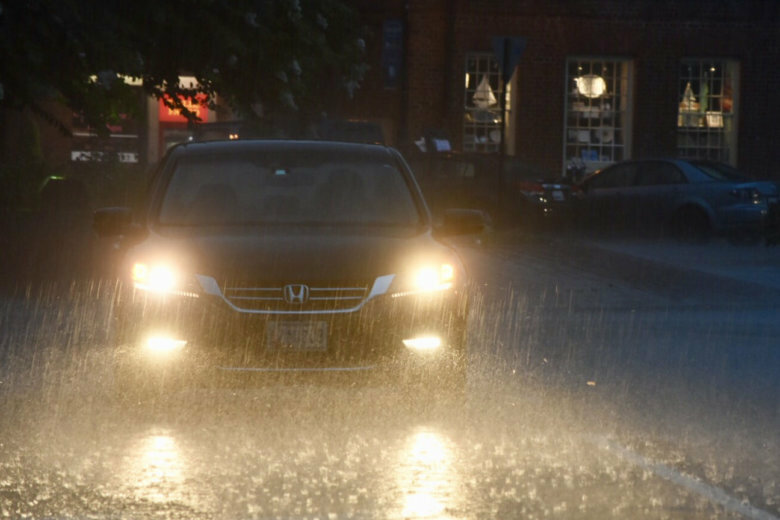 WASHINGTON — If you got rained on walking into work Monday, here’s some cold comfort for you: Those were record-breaking raindrops. Shortly before 11 a.m. Monday, D.C. hit 7.31 inches of rain for the month, breaking the previous record of 7.18 inches of rain set in November 1877. The rain data is recorded at Reagan National Airport. November 2018 is now the wettest November on record at both Washington DC (old record just broken a few minutes ago) and Baltimore MD (old record broken on Saturday). “We’ve had a very wet month. Of course, it’s been a very wet year, overall. But … the month of November has been particularly wet,” Ray Martin, a meteorologist with the weather service, told WTOP in an interview. The November soaking pushed the region into further record-breaking territory. So far, about 60.2 inches of precipitation have fallen this year, Martin said. That’s just behind the 60.83 inches of rain that fell in 2003 and the all-time record of 61.33 inches that fell in 1889. It’s likely, Martin said, that the region will beat the all-time record. For one thing, there are two rainy systems in the forecast this week alone — one on Friday and another on Sunday. And what happens if D.C. gets another surprise snowfall? Don’t worry — that won’t jeopardize any rain record. “It’s really a precipitation record,” Martin said. The weather service tabulates the moisture equivalent of the snow and adds to the total.